Like most savvy travelers, you want to find the best deal on your vacation. After all, a vacation should be a time to relax, not a time where you stress over how much everything cost you. 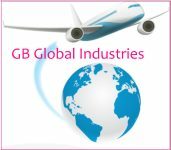 At GB Global Industries, our long-time partnership with numerous travel-related companies allows us to bring you the best prices on hotels, cruises, flights, and car rentals. Instead of hunting through dozens of websites yourself, let us hook you up with an affordable travel package that meets all your needs. Contact our travel agency in Miami, FL, for more information. No matter where your trip takes you, you’ll find great deals at our GB Global Industries. Since 2012, we’ve sold over 400,000 travel packages. Our packages are tailored to meet the needs of many types of travelers from young families to single adults to senior citizens. Whether you want just the basics or an all-inclusive bundle, we have what you need in our three high-value packages. To learn more, call our vacation travel agency in Miami, FL, today at +1-305-510-6337.